Payflow Link is a hosted order form service that enables you to accept credit cards, debit cards and more. 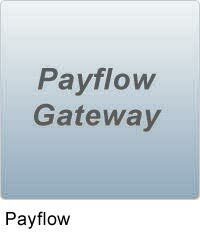 Payflow Link is best for e-commerce sites that process under 1,000 transactions a month. The easy way to get paid securely. Accept credit cards, debit cards, and more. Plus accept PayPal too (U.S. only). Quickly get your business online. Your customers shop on your site and PayPal finishes the checkout process. Stay secure with 128-bit SSL encryption to protect vital information. Plus, PayPal meets the exacting standards of the major card associations, including SAS, PCI, and SDP. Integrate easily. Payflow Link is pre-integrated into many shopping carts. Checkout is completed securely on customized pages on the PayPal website. Your customer is returned to Your Online Store at the end of the transaction. Customizable checkout page so you can improve the customer experience with your preferred fonts, graphics, and layouts. Fast setup by simply cutting and pasting into your HTML code.